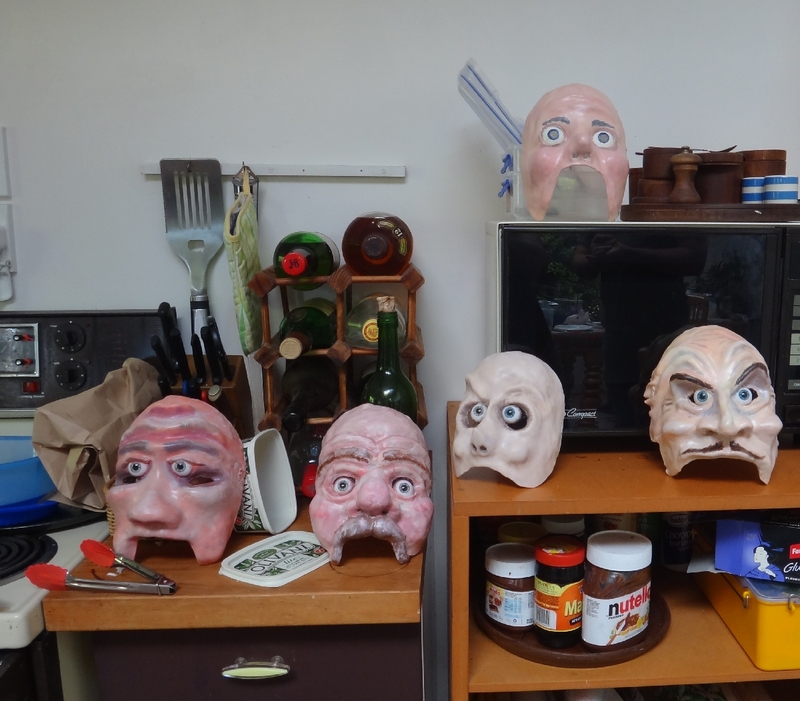 I took six members of the Wellington Improv Troupe through some techniques for making theatrical character masks, passing on what I learned from Steve Jarand with a few extra twists. 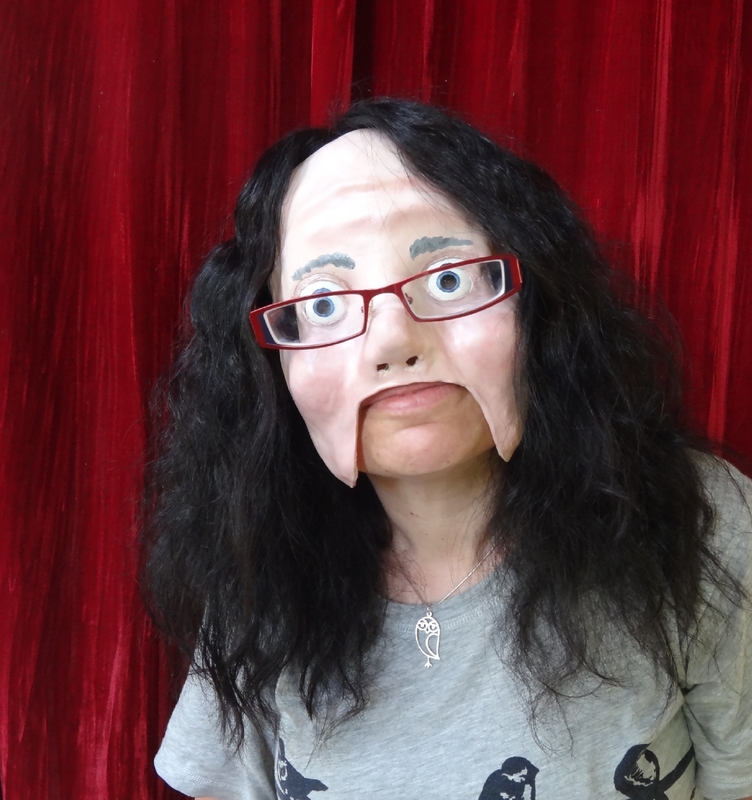 It was hard work and a lot to cram into one day, but golly there were some interesting masks made, including by people who commented that they hadn’t done anything ‘arty’ since high school. 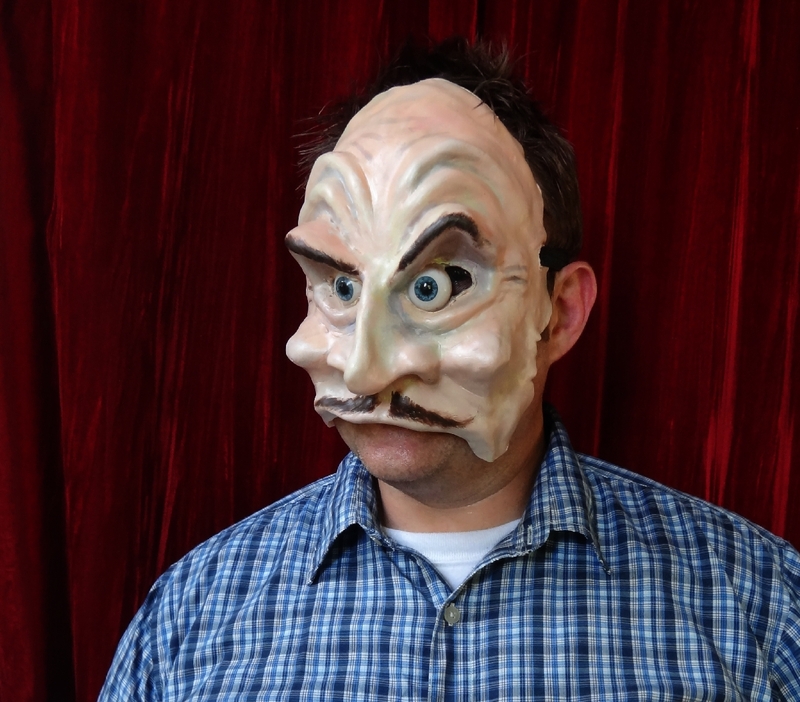 I’m looking forward to seeing how the masks work on stage. 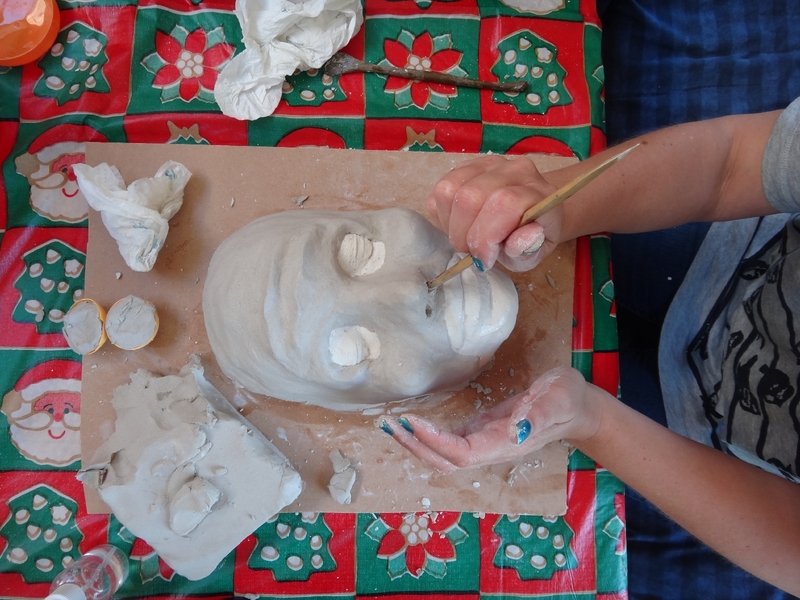 Facilitating other people being creative – and deliberately not being a creator of anything myself – was a different sort of satisfying experience. 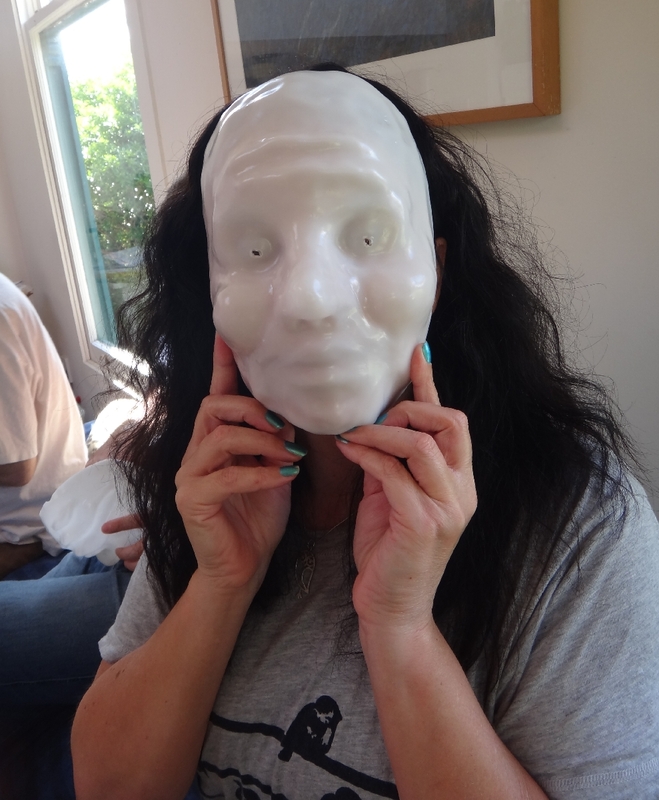 The masks were sculpted in clay over plaster face casts, then covered with Instamorph (a low temperature thermoplastic sold in pellets) which had been heated and rolled into flat sheets, and then dipped in hot water to soften and draped over the clay forms. 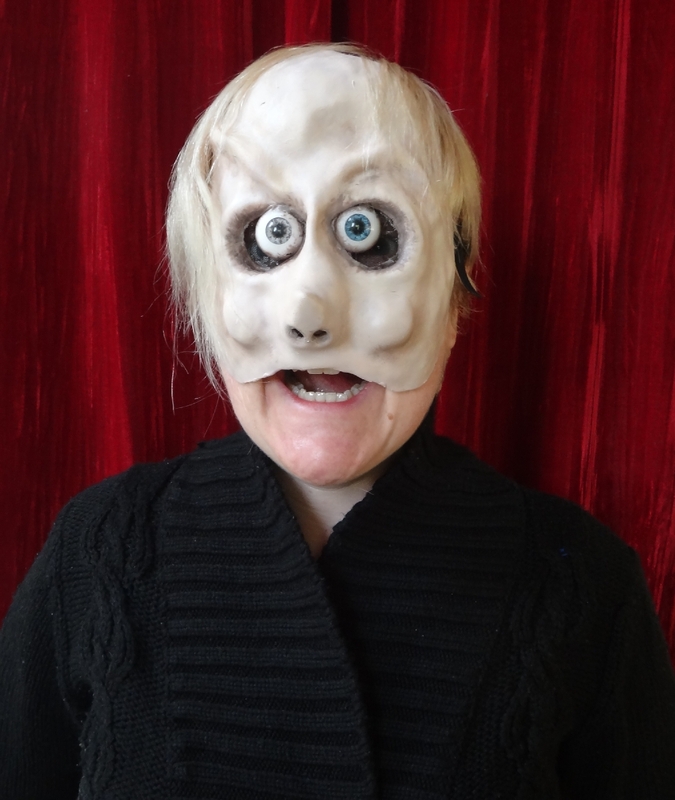 The masks were then trimmed, lightly sanded to create a rough surface, and finished with acrylic paint and accessories such as pingpong ball eyes and fake fur eyebrows. 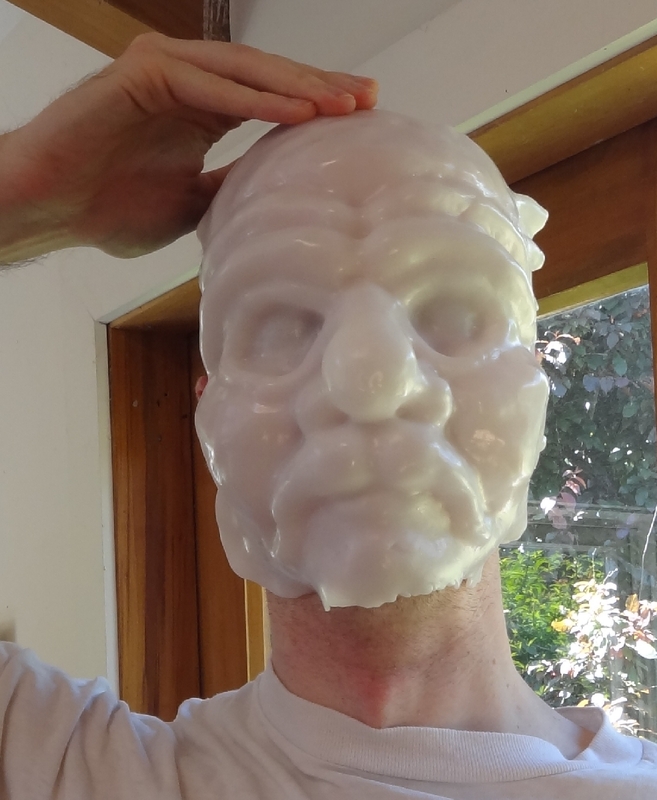 This entry was posted in masks, sculpture and tagged instamorph, mask making, masks, polycaprolactone, polymorph, Steve Jarand, thermoplastic, workshop. Bookmark the permalink.